It can be hard to find desserts that satisfy your cravings without sacrificing your health. Most desserts contain high levels of sugar and dairy. The two ingredients are pro-inflammatory (1). As the level of the sugar in the blood increases, so does the amount of inflammatory messengers called cytokines. The right ingredients that are part of the vegan sweets, most people might not find appealing. However, the difference can be hardly told between the conventional and healthy desserts. Try this great vegan chocolate mousse recipe and your body will be thankful! Take out the meat of the avocado. Remove the seed. Put it in a blender. Blend avocado, cocoa, coconut and syrup. Blend until the mixture is smooth. Put it aside. Melt chocolate into a stainless steel bowl set or in a bain-marie over boiling water or small saucepan. Stir frequently to avoid burning. 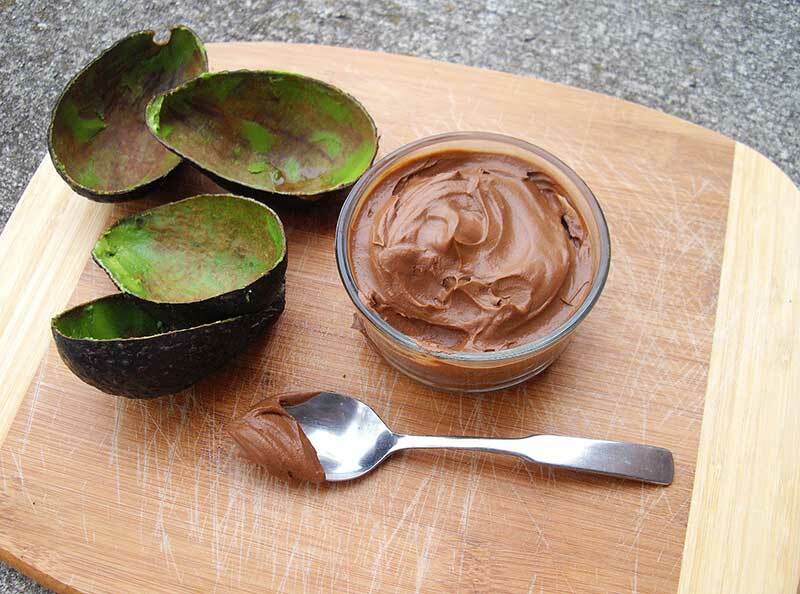 Scoop the mixture with the avocado in the chocolate and mix until it gets airy and smooth. Spoon into cute serving bowls and refrigerate for two hours. Serve the chocolate mousse recipe with fresh mint leaves and grated chocolate. Avocado contains 20 essential nutrients, including inflammation-fighting oleic acid, polyphenols and flavonoids (2,3). This great food lowers the cholesterol and the blood pressure, improves the vision, keeps the gut healthy, supports cognitive function and increases weight loss. Coconut milk is the most nutritious and creamy dairy alternative. It contains compounds like capric and lauric acid, which have analgesic, anti-inflammatory, antipyretic, cholesterol-lowering and anti-stress activities. (4,5) It’s also used to fight obesity and heart disease. Cocoa has great antioxidants that are responsible for slowing the production of the molecules that take place in inflammation. The delicious powder even heals the cardiovascular system by improving cholesterol levels, blood pressure, blood clotting, coronary artery function, and insulin sensitivity.